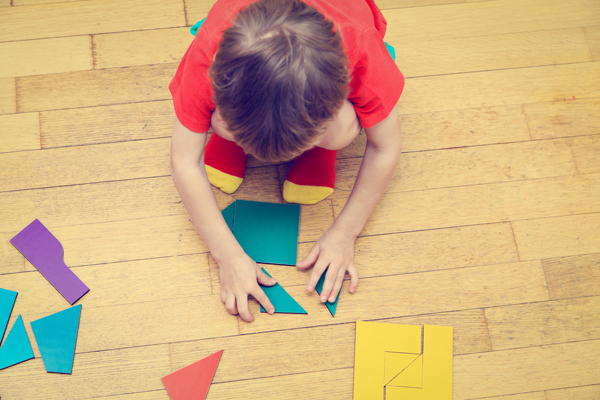 Nadezhda1906/Shutterstock.com Early start: Autism symptoms improve slightly in children who received two years of intensive play-based therapy. Children with autism who receive two years of intensive therapy as toddlers appear to maintain their social and behavioral gains two years later, suggests a study in the July issue of the Journal of the American Academy of Child & Adolescent Psychiatry1. However, some researchers are skeptical that the therapy, called the Early Start Denver Model (ESDM), would benefit children outside of a clinical trial setting. Others point to an unpublished study that was unable to replicate the therapy’s effects at multiple sites. The new study is the latest to find that early intervention can improve the lives of children with autism in the long term. The researchers report that children who participate in ESDM, which involves four hours of one-on-one therapy every day for two years, show modest improvements in autism symptoms two years after completing the therapy. Therapists also teach ESDM strategies to parents at semi-monthly meetings. They encourage parents to use these strategies during daily activities with their children. ESDM is unusual among autism therapies in that it’s backed by a randomized controlled trial — the gold standard for evaluating a treatment’s effectiveness. In the original trial, researchers randomly assigned 24 children with autism between the ages of 18 and 30 months to receive ESDM for 20 hours per week over two years. Overall, these children scored better on tests of language, behavioral skills and intelligence than 24 children with autism who did not receive the therapy, the researchers reported in 20102. In the new study, researchers re-tested both groups of children at age 6 — roughly two years after the original trial ended. (Of the original participants, 21 of the children who received ESDM and 18 who did not were available for re-testing.) Some of the children had received other treatments in the meantime. Based on a questionnaire completed by parents, the two groups of children improved on measures of intelligence, communication and daily living skills in the two intervening years, but the controls’ scores caught up to those from the ESDM group. However, children who received ESDM did better on a combined measure of social, communication and daily living skills. Clinical evaluations revealed that the children in the ESDM group have fewer and less severe repetitive behaviors, a core autism symptom, than the controls do. They also have better scores on a measure of autism severity. The clinicians did not see significant changes in social deficits in either group of children, however. The improvement is “modest, but still a good thing,” says Cathy Lord, director of the Center for Autism and the Developing Brain at New York-Presbyterian Hospital. The follow-up results mark the first time that ESDM has been shown to shift core autism symptoms — an important milestone, says Eric Fombonne, director of the Autism Research Center at Oregon Health and Science University in Portland, who was not involved in the study. Another limitation of the study is that many of the assessments are based on reports from parents, who know which group their child was in. Also, the researchers are missing data for 9 of the 48 original children. Three independent researchers who asked to remain anonymous have more general concerns about ESDM. They cite unpublished results from a large randomized controlled trial that aimed to replicate the 2010 findings at three sites, including the University of Washington in Seattle, the location of the original trial. The unpublished data, presented at the 2014 International Meeting for Autism Research, indicated that ESDM did not yield benefits beyond those seen in the control group. Estes says she and her team are still analyzing the results of the multisite trial, and hope to publish the data soon. She says any critiques of ESDM should be based on the published, peer-reviewed data. Speaking as a parent, I know that my son made dramatic improvement in his speech and adaptability to change (the change component was part of the therapy at a drop off center that changed therapists every hour to help the children adapt to change, my attended therapy there for 7 hours on Saturdays every week for 8 weeks) after undergoing 22 hours a week of ABA for a period of roughly 2 months. Prior to the start of therapy his vocabulary was less than 5 words to saying “Congratulations!”. This short period of therapy I think served as a catalyst for other similar jumps in his vocabulary in the past 3 years. And while I have concerns about the long term effects and coercive nature of ABA, I must admit in that short little period of time it produced some amazing results. This study seems to confirm my personal observations of my son about the long term effects of such short bursts of therapy early on for children with autism. I actually find all these ‘therapies’ oppressive to children per se. Attending therapy for 7hrs in one day how exhausting and brain washing. My daughter spends her weekends in the park, swimming and interacting like all normal children should and she continues to amaze people with her progress.